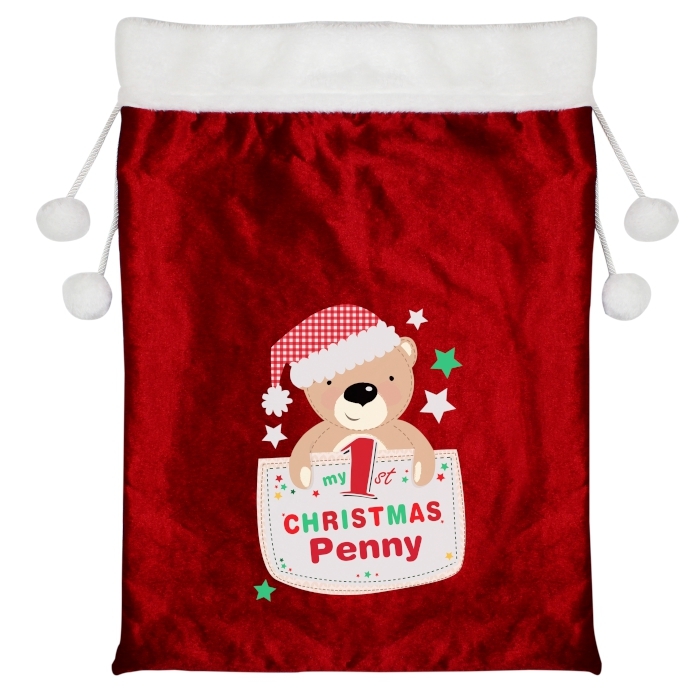 Make their 1st Christmas memorable, with our Personalised My 1st Christmas Luxury Pom Pom Sack. A personalised gift that’s an excellent way to celebrate a milestone, and what’s more, this sack can be used year on year! This delightful sack is made from a high quality fleece, and features a pom pom drawstring for closure and a fur lined rim. With plenty of room inside for the little ones Christmas treats, it will look amazing when placed beside the fireplace on Christmas Eve. 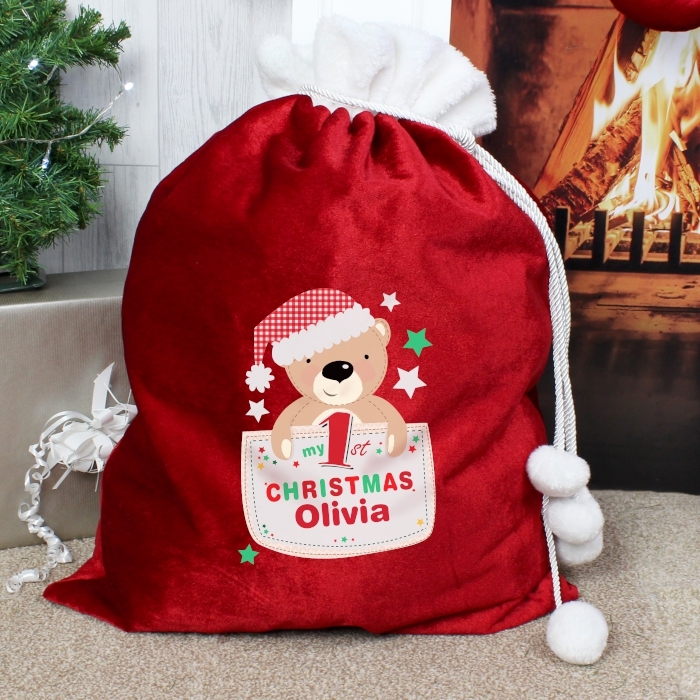 A bright red sack boasting a cute teddy in his Santa hat, personalised with their name using 12 characters and the fixed wording ‘my 1st CHRISTMAS’ it’s sure to become a treasured keepsake. Please refrain from using all capital letters in the chosen name thank you. A lovely plush sack for a child’s 1st Christmas that’s the perfect way to store goodies from Santa.